"Stay tuned for upcoming tours, festival dates, new music and more!" Apollo Ghosts are back! Six years since they broke up and played their final show, the cult indie rock outfit have reunited. This news comes via singer-guitarist Adrian Teacher, who updated his social media to write "AFTER SIX YEARS, APOLLO GHOSTS ARE BACK!" The Vancouver band's website notes, "Stay tuned for upcoming tours, festival dates, new music and more!" 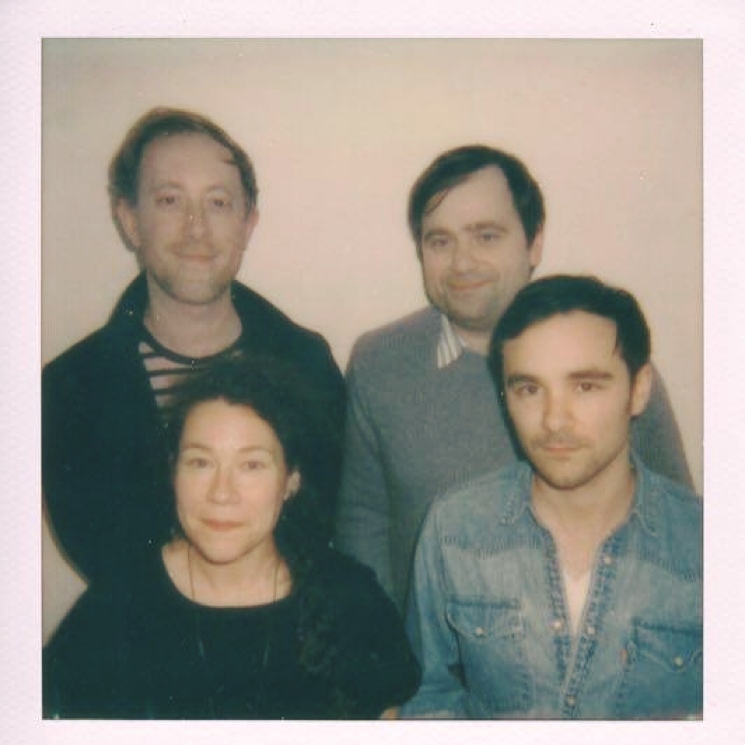 The new incarnation of Apollo Ghosts features two original members: Teacher and Amanda P. They're now joined by Robbie N. and Luke N. That's a photo of the new lineup above. Since Apollo Ghosts split back in 2013, Teacher went on to form COOL TV (a.k.a. Cool) and then Adrian Teacher & Subs. The new version of Apollo Ghosts has the same members as the Subs, but they've done some instrument-swapping as of late, so it's not entirely clear who will be playing what. Between 2008 and 2013, Apollo Ghosts released three full-lengths, plus a scattering of singles and EPs. Despite earning a devoted Vancouver fanbase, they never gained widespread commercial or critical recognition — although they did snag a Polaris Music Prize nomination for their excellent 2010 LP Mount Benson.